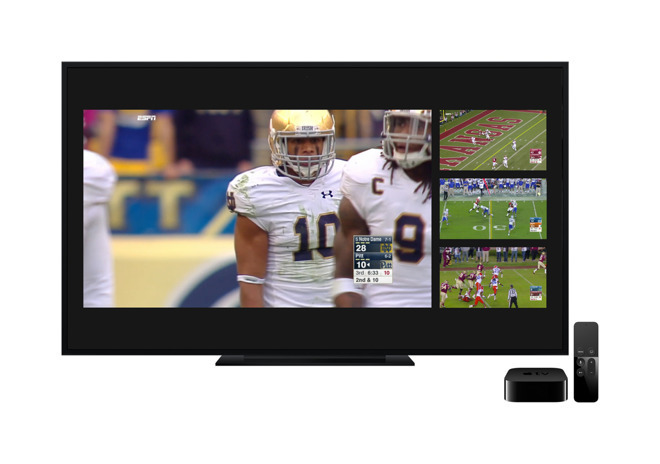 In a preview of a new feature expected to come to all users in December, beta builds of iOS and tvOS have added a live "Sports" section, making it easier to find streaming content. The update comes from a server-side change by Apple, meaning users running the latest developer and public iOS and tvOS 11.2 builds will automatically have access to the new "Sports" tab when opening the TV app. The "Sports" tab joins the previous options of "Watch Now," "Library," "Store" and "Search." It features quick links to live games and the ability to rewatch games that already occurred. Users can also select their favorite teams for a range of sports and leagues. The TV app promises users that they will receive an alert when the team is about to play, letting users begin streaming as soon as the game starts. Supported leagues include Major League Baseball, the National Football League, the National Basketball League, college football, men's college basketball and much more. The update was first noted by Mark Gurman. Wednesday's soft launch appears to only offer ESPN as an app partner, though future updates from other third-party apps should add support for more networks and services. For example, ESPN does not broadcast National Hockey League games, so users cannot yet stream NHL action via the TV app. Developer support has been something of a sore thumb for Apple's TV app for iOS and tvOS. Notably, streaming giant Netflix does not offer full integration with Apple's TV app. The fifth developer betas of iOS 11.2 and tvOS 11.2 were released on Tuesday.